Telangana: Government delays in clearing the Rs. 250 crore pending dues since the year beginning has led all private hospitals empanelled for Arogyasri to stand up in arms and stop all health services under the scheme, since Wednesday. 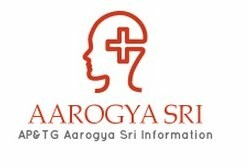 “We postponed our strike decision in May after Telangana Health Minister, C Laxma Reddy and other senior Telangana Aarogyasri Health Care Trust (TAHCT) officials assured us that they would resolve our 18 point demands including clearing six-month-old dues but none of the promises was kept,” said Dr T Narasinga Reddy, chairman, Aarogyasri wing of Telangana Private Hospitals and Nursing Homes Association (THANA). Describing the decision of the TAHCT Board of Trustees to take away polytrauma cases from private hospitals as the final blow, Mr Reddy said this would affect both BPL patients and government employees, who are covered under the Employees Health Scheme (EHS). He made clear that if amends were not made their strike would turn into an indefinite one. The circular AHCTP&C dept F-43 dated 30 May, 2016, which listed nine procedures off limits for Aarogyasri listed hospitals and was to come into effect from July 1 has been recalled by the Telangana government keeping the interest of poor patients in mind clarified TAHCT Chief Medical Auditor, M Govardhan Reddy. However, the recall hasn’t reined the ire of private healthcare facilities, who are now adamant that all the 18-demands including clearing of Rs 250 crores be met with by the government. Some of their 18-demands include putting a stop to discrimination between private and government hospitals as 133 medical procedures out of 900 plus procedures in Aarogyasri scheme continue to be reserved for only government hospitals. Other demands include: cutting down pre-authorisation hassles and no insistence on medical camps among others. The poor of the city were the first to be hit by private facility withdrawal decision, when they were refused treatment in no uncertain terms by private hospitals.